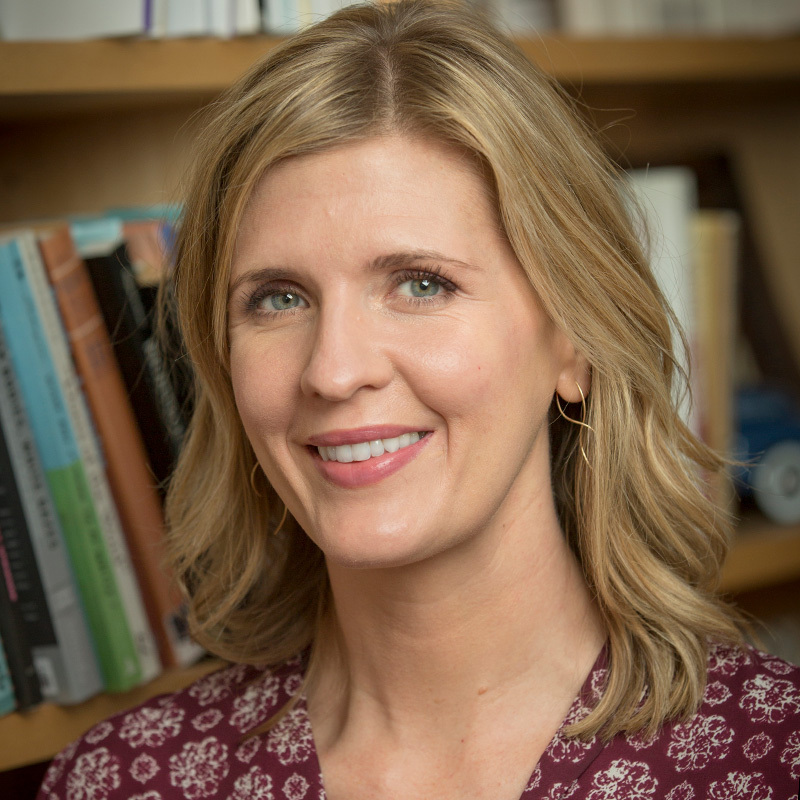 Maegan Parker Brooks, PhD is an Assistant Professor in the Civic Communication and Media Department at Willamette University. Willamette recently honored Brooks’ dedication to teaching and service with the United Methodist Board of Higher Education and Ministry’s 2016 Exemplary Teacher Award. Brooks holds a PhD in Communication Arts, with emphases in Rhetoric and Afro-American Studies, from the University of Wisconsin-Madison. Her research and teaching interests are inspired by fundamental questions concerning how people in America talk about race: whose voices are silenced? How? Which perspectives are privileged? Why and to what effect? And how do conversations about race engage with the legacy of racism? Brooks explores answers to these questions with students in the Rhetorical Theory and African American Public Discourse courses she regularly teaches. Brooks' research in pursuit of answers to these driving questions has appeared in the popular press and a variety of academic journals, including the Quarterly Journal of Speech, Rhetoric & Public Affairs, Southern Journal of Communication, Voices of Democracy, Women’s Studies in Communication, and the Howard Journal of Communications. Brooks has also published two books about Fannie Lou Hamer, The Speeches of Fannie Lou Hamer: To Tell It Like It Is, an anthology of Hamer’s speeches, which she co-edited with Davis W. Houck, and a rhetorical biography, A Voice that Could Stir an Army: Fannie Lou Hamer and the Rhetoric of the Black Freedom Movement, which was named an Outstanding Academic Title of 2015 by the American Library Association. Presently, Brooks is working as a lead researcher and curriculum designer for the documentary project, Fannie Lou Hamer’s America. Brooks is also writing a third book entitled Fannie Lou Hamer: America's Freedom Fighting Woman for Rowman & Littlefield's Library of African American Biography Series. Brooks, Maegan P. “Countering White Conceit through the Commemoration of Keyes.” Howard Journal of Communications: Special Issue on Commemoration and Social Justice 28.2 (2017): 186-198. Brooks, Maegan Parker. “The Interruptive Voice: Engaging Race in Public School Deliberations.” Southern Communication Journal 81.4 (2016): 192-205. Brooks, Maegan P. A Voice that Could Stir an Army: Fannie Lou Hamer and the Rhetoric of the Black Freedom Movement. Jackson: University Press of Mississippi, 2014. Brooks, Maegan P. “Much to be Proud of but a Long Way to Go: Twenty Years Since DPS Busing.” Front Porch* [Denver] June 2015. *Publication was the recipient of the Colorado Press Association’s “General Excellence” and “Editorial” awards for 2014. Brooks, Maegan P. "Remembering Dearfield: Black History is Colorado History." Front Porch [Denver] February 2015. Brooks, Maegan P. "Talking About Race." Front Porch [Denver] December 2014. Brooks, Maegan P. "Schools that Transform Lives: Lessons from Denver's Integrated Past. "* Front Porch [Denver] October 2014. *Article received a record number of online views and shares. Brooks, Maegan P. and Davis W. Houck, Eds. The Speeches of Fannie Lou Hamer: To Tell It Like It Is. Jackson: University Press of Mississippi, 2011. Brooks, Maegan P. “Oppositional Ethos: Fannie Lou Hamer and the Vernacular Persona.” Rhetoric & Public Affairs 14, 3 (2011): 511-548. Houck, Davis W. and Maegan P. Brooks. “We're On Our Way.” Voices of Democracy 6 (2011): 21-43. Parker, Maegan. “Ironic Openings: The Interpretive Challenge of the ‘Black Manifesto.’” Quarterly Journal of Speech 94, 3 (August 2008): 320-342. Parker, Maegan. “Desiring Citizenship: A Rhetorical Analysis of the Wells/Willard Controversy.” Women’s Studies in Communication 31, 1 (Spring 2008): 56-78.